Key features: The asymetrical glass crystalline dome with shade structure inside. 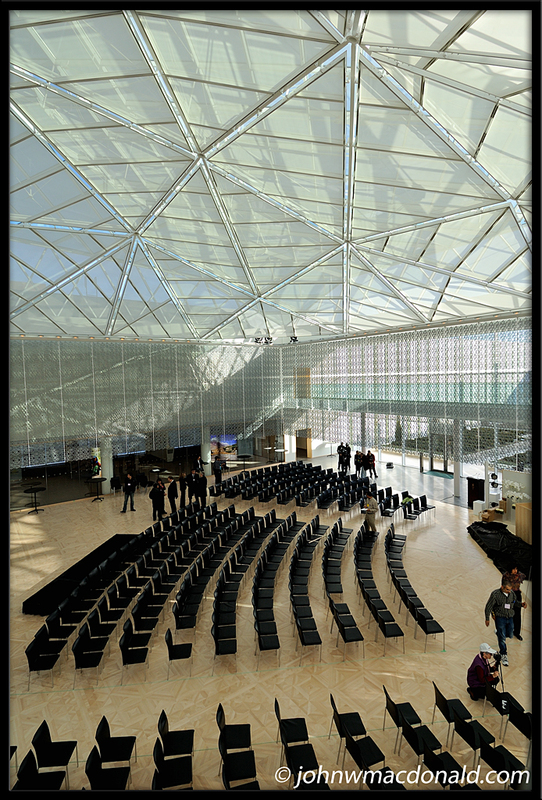 Surrounding the atrium is a cast aluminum jali screen which partly encloses the space above. "A secular facility, the Delegation of the Ismaili Imamat will serve a representational role for the activities of the Imamat including its development agencies which constitute the Aga Khan Development Network." Wow! Looks to be a fantastic space! Open, interesting, light, intelligent.